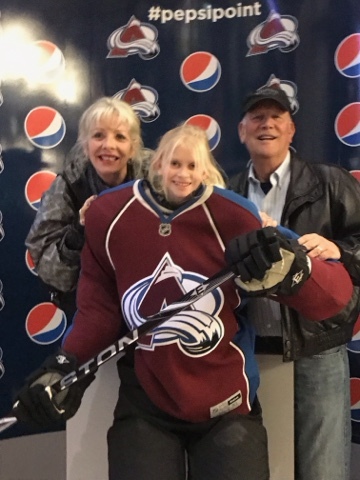 Trav's parents came into town on Wednesday night, and our first stop was some dinner at Steuben's, then we were off to a hockey game. We had a great time, but were out very late, so consequently got a sleepy start on Thanksgiving. Trav got up and started getting things ready for me in the kitchen, letting me sleep a little. Then it was my turn. 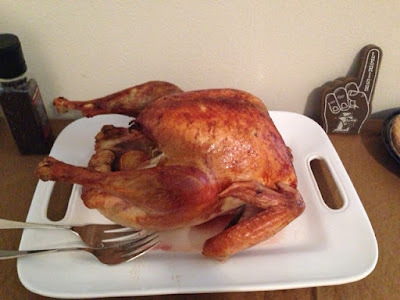 Trav's parents came over around lunch time, with the turkey roasting away. 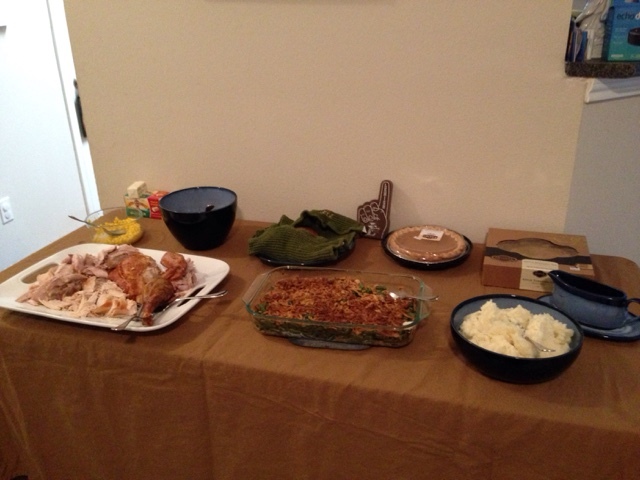 We ate around 4:30, and I have to say, I was pretty pleased with how everything turned out. I'm always a little nervous, that I'm going to mess up timing, so it was nice how everything turned out! They headed home a little after Gwen went to sleep, when the pie had been eaten, and the turkey tiredness had made them ready for their comfy hotel bed. 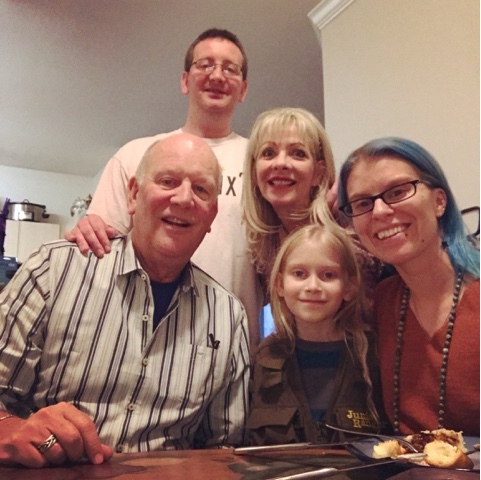 After the slightly sad and lonely Thanksgiving we had last year, it was so nice to have family around to celebrate with. It was a beautiful day, and I hope your holiday was a beautiful one too!